Lenny’s Pest Control is all about educating you and helping you protect your home and space from unwanted, bugs and pests. We would love to come out to your home or business and inspect your property, give you an estimate and get your protected. 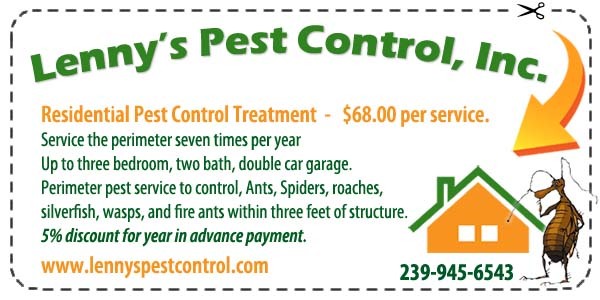 Please give us a call at (239) 945-6543 for all your pest control needs in southwest Florida. Our blog is dedicated to informing and educating you on what you need to know about bugs – today we’d like to educate you on Subterranean Termites! Subterranean Termites require some moisture to survive, so their nests usually contact the soil. If there’s enough moisture in a wall or other wood structure, though, termites may nest right in the wood. Subterranean termites live in the ground, unlike other termites which living inside the wood they eat. The ground provides the moisture needed by the subterranean termites. When they find a food source above ground they build a safe pathway or “mud tube” to create a connection from their home to the food. Subterranean termites are among the most destructive to wood, which they consume for food. In nature, termites are beneficial to ecosystems as they break down dead trees, but they are damaging to wood structures such as houses and barns. Three main types of adult termites live within a colony: reproducer (also known as alates or swarmers), soldiers and workers. Subterranean termites get their name from the underground, interconnected tunnels they create. Subterranean Termites Swarmers– Soft-bodied insects with straight antennas, broad waists approximately ¼ inch in length and two pair of wings of equal length. 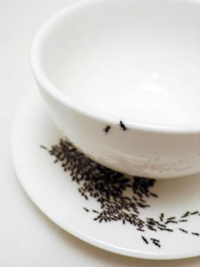 In Florida, the major swarm normally occurs in early spring, between February through May. Swarming can occur mid morning through late afternoon, most often right after a rain shower and warm sunny conditions are present. 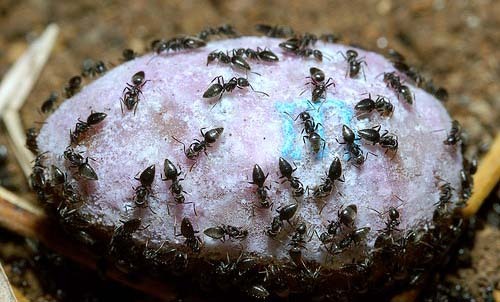 The environmental conditions (Humidity) will allow the Swarmers to take flight, mate and find their way back to a soil and/or moisture environment to start colonization. Swarming Termites are normally attracted to light and after flight will shed their wing. Swarmer bodies with and without wings are found near windows, bathrooms, vents, light fixtures and doors Subterranean Termites. 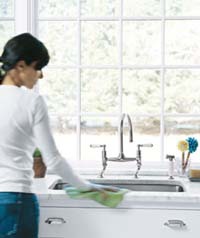 Swarmers can only survive in the open environment less than 24 hours depending on the humidity levels. Swarmers do not eat wood/cellulose material and their sole purpose is to successfully mate and colonize at a suitable protective environment. Termites are highly social insects with one of the most sophisticated family structures in the animal kingdom. There are approximately 2,700 species of termites found worldwide. In natural areas, termites are essential organisms in the environment. Termites decompose cellulose, the main component of plant cell walls and recycle nutrients back into the soil for use by other living organisms. Termites are also an important food source for many amphibians, reptiles and birds. Unfortunately, termites receive a bad reputation because they are unable to distinguish between the dead wood in the forest and the dead wood used in our homes.